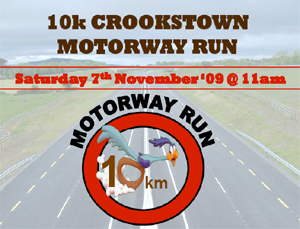 The Crookstown 10k took place on Saturday 7th November on a new section of the M9 Kilcullen-Carlow Motorway. Racing795 was well represented. Well done guys. Amended Barry’s time as per official results. Just squeezed in under the 45min barrier! Also added overall positions – Paul made the top 20 overall and looks like Deirdre was in the top 10 women. Brilliant stuff.